Yesterday I made a CD of a recent tape that Ed Veenstra sent me. 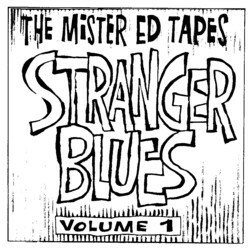 I already mentioned Ed and his record collection in an earlier episode of this Soundtrack , but on this cassette is one track that I want to share with you. I had never heard it before and I suppose the chance is big that you have never heard it either. It is from a 78rpm record, released in 1928 on His Master’s Voice . The singer is Master Christopher Robin , the son of the author H.H. Milne . Down by the pond, The Engineer , The friend and Us two . There is a video on YouTube with another song by Master Christopher Robin.